The main attraction in Mostar, Bosnia & Herzegovina is definitely the Old Bridge, also known as Stari Most. Built in 1566 by the Ottomons, the bridge stood for 427 years until it was destroyed on 9 November 1993 during the Bosnian War. However through efforts by UNESCO, the bridge was rebuilt and reopened on 23 July 2004 and is now a UNESCO World Heritage Site. If you're visiting Mostar, read these 3 tips to have the best experience of climbing Stari Most. Photo was taken when the sun was setting, thus the golden colours on the right side of the photo. 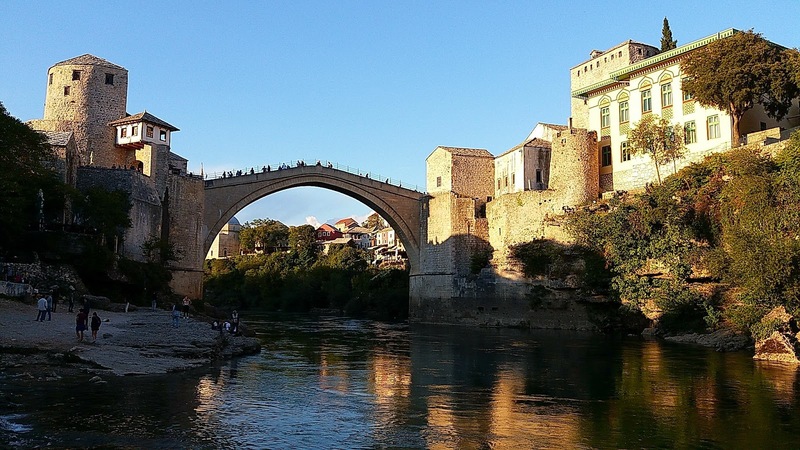 I made the mistake of walking on Stari Most in my flip flops and regretted it tremendously, thus this blog entry to ensure you don't make the same mistake as I did. Therefore having a good pair of walking shoes is important to ensure you don't slip and fall. I personally prefer sneakers. There's a high possibility many would have slipped while walking on the bridge, so they built ledges on the bridge and installed hand rails on both sides of it. Use the ledges as footholds and to break your fall. Also hold onto the hand rails and slowly make your way up and down the bridge. Being the top attraction in Mostar, you can exprect many tourist on the bridge. To avoid the crowds, go early in the morning and there's a high possibility you'll have the whole bridge to yourself. Definitely worth sacrificing your beauty sleep for if you want to take photos without anyone photo bombing it. Turtle Sanctuary or Turtle Torture at Glory Beach Resort?